If you feel that a mistake has been made during medical treatment or diagnosis of either yourself or a member of your family, it is essential that you bring all relevant details to our attention without delay. You will receive expert legal advice as a result of our considerable experience built up over many years in pursuing claims for medical negligence. 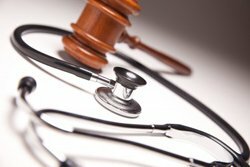 You will have the immediate benefit of this legal experience and the assistance of a wide panel of Medical Experts in America England Canada and Australia with whom we have worked to assist other clients. Mistakes in medical diagnosis and treatment can often result in death and injury. Complications arising from cosmetic surgery . The level of proof required to successfully establish a finding of Medical negligence is extremely high. The mere fact that an injury occurred as a result of a medical procedure is not in itself sufficient to succeed in Court. It is for this reason that your choice of Solicitor is extremely important when deciding to pursue a claim. Burns Nowlan has successfully acted on behalf of a considerable number of clients in Kildare, Laois, Dublin, Limerick and other parts of Ireland in relation to medical negligence claims.